Preheat the oven to 375 degrees F. Put the sweet potatoes on the oven rack and bake until fork-tender, about 45 minutes. When the potatoes are finished cooking, let cool slightly, about 5 minutes. Slice them open lengthwise and scrape out the flesh with a fork into a large bowl. Increase the oven temperature to 400 degrees F.
Add the granulated sugar, milk, eggs, vanilla and salt to the bowl with the sweet potatoes. Mash the mixture with a potato masher until combined and slightly lumpy-you don't want it to be perfectly smooth. Now, in a separate bowl, mash the brown sugar, pecans, flour and butter with a pastry cutter or fork until thoroughly combined. 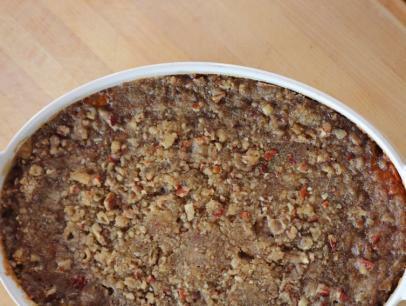 The mixture should resemble a crumble. 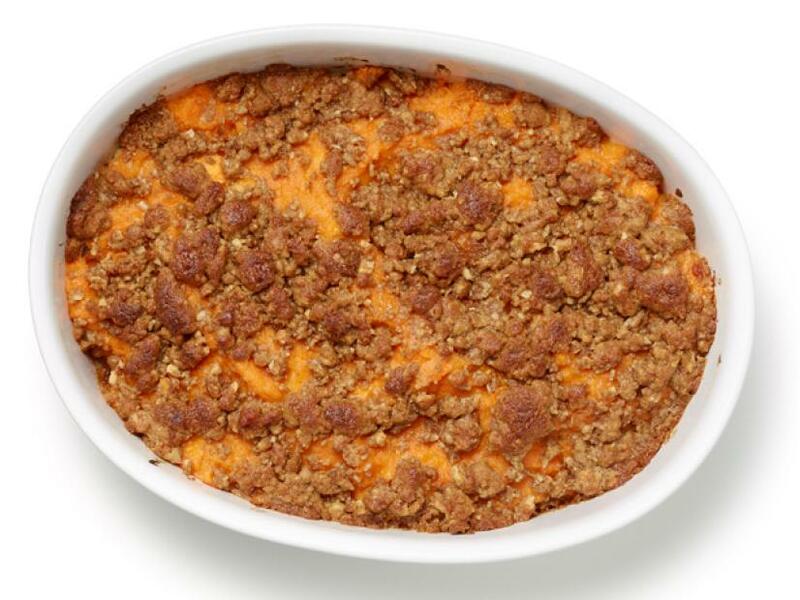 Spread the sweet potato mixture in a 14-cup oval-shaped baking dish and sprinkle the crumb mixture all over the top. Bake until golden brown, about 30 minutes.